Municipal vehicle hire company Collett Transport Services (CTS) is back at the RWM exhibition this year, co-exhibiting with contract hire and fleet management providers Specialist Fleet Services Ltd (SFS). It’s been an eventful year for CTS since last year’s show with significant investment in new stock including 5 Daf NTM’s, 4 Euro 6 RCV’s, 2 caged tippers and 2 Scania Hook Loaders, in addition to the ongoing refurbishment program of existing and replacement vehicles. The company has also diversified into self-drive sweeper hire with the purchase of 4 new VT651 Sweepers due for delivery this month, complementing the company’s compact sweeper fleet that are available for hire. 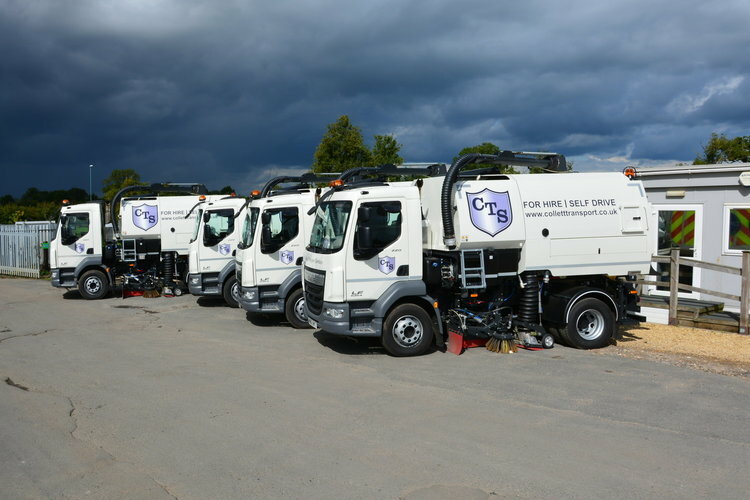 CTS is a division of Specialist Fleet Services Ltd (SFS) and offers flexible and competitive municipal vehicle hire packages for the short or long term.